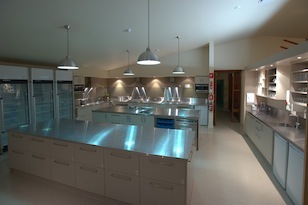 Kiama Alpine Lodge has a new state of the art kitchen. It is equipped with modern appliances such as electric ovens, gas stove tops, blenders, microwaves, etc. The kitchen also has a large amount of fridge space and pantry space allocated to each room. • Teas - Large selection of herbal plus plain, earl grey, English breakfast and tea leaves for pots.